For groups of 3 or more canoes, we can offer trips up to 100 miles. Just call us to help you plan that extended trip. Here are pages with river tips and answers to most other questions. You can read, print and sign the liability release ahead of time. You can look at the Safety video online ahead also. 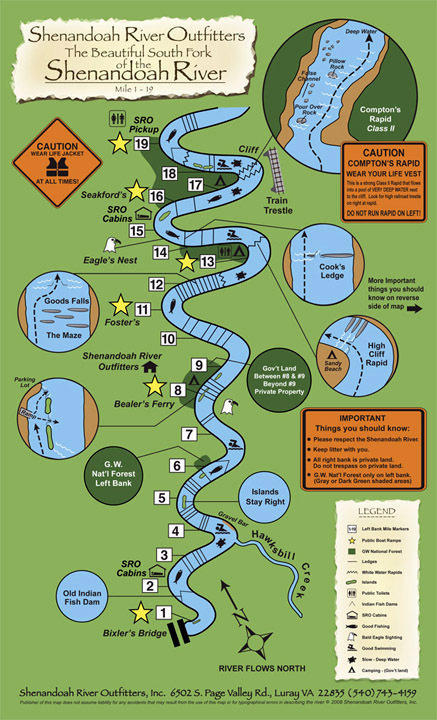 Tips for Canoe trips Tubing trip tips TIPS for TRIPS You can check river levels here Do call if you have other questions. 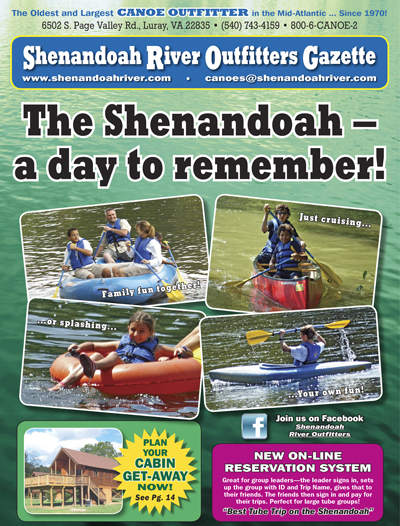 Please respect the Shenandoah River. Keep litter with you. Bentonville and Front Royal for 2 and 3 day canoe trips.